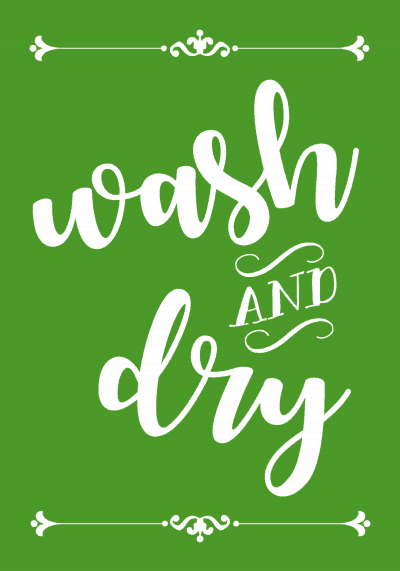 Wash and Dry Laundry Sign . 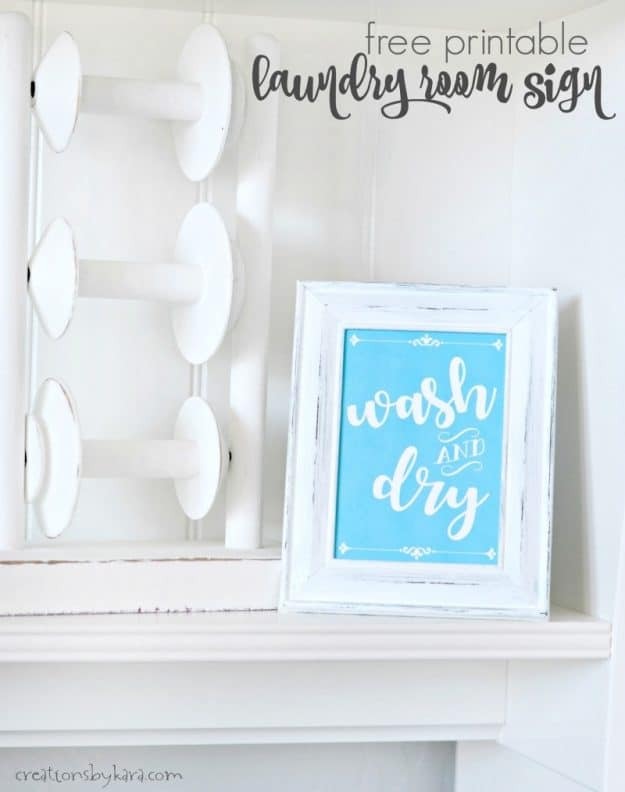 . . need a quick pop of color in your laundry room? 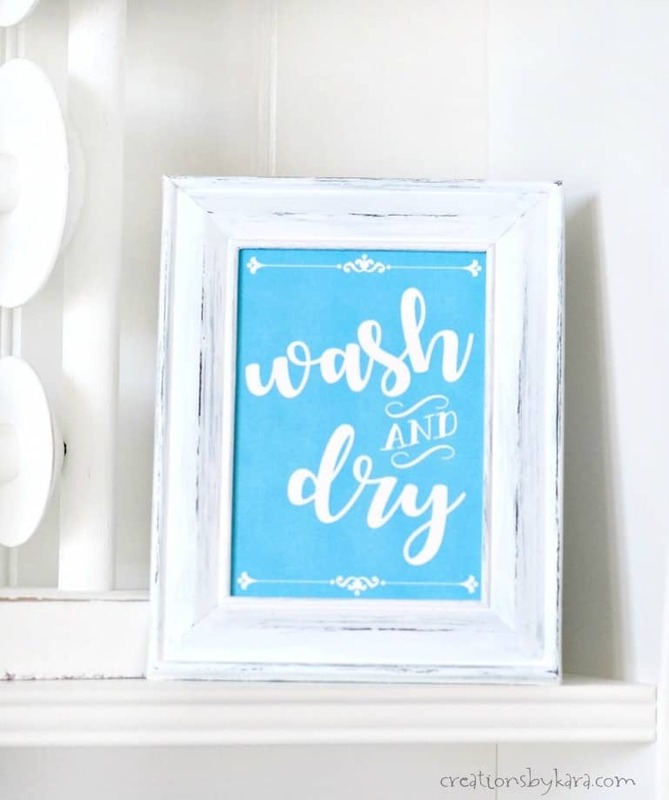 This free printable laundry room sign comes in five different colors! We have lived in this house for almost a year now (my the time has flown! ), and we spent the first 10 months without a functional laundry room. I am happy to report that I now have a place to hang clothes! We built a bench with cubbies, as well as wall storage and large hooks for hanging clean clothes. It was a massive DIY project, and I will be sharing it as soon as I get the space all prettied up. Can’t wait to show you guys! I had a small space to fill on one of the shelves, and I couldn’t find anything that worked perfectly in the space. So I decided to make my own laundry decor. 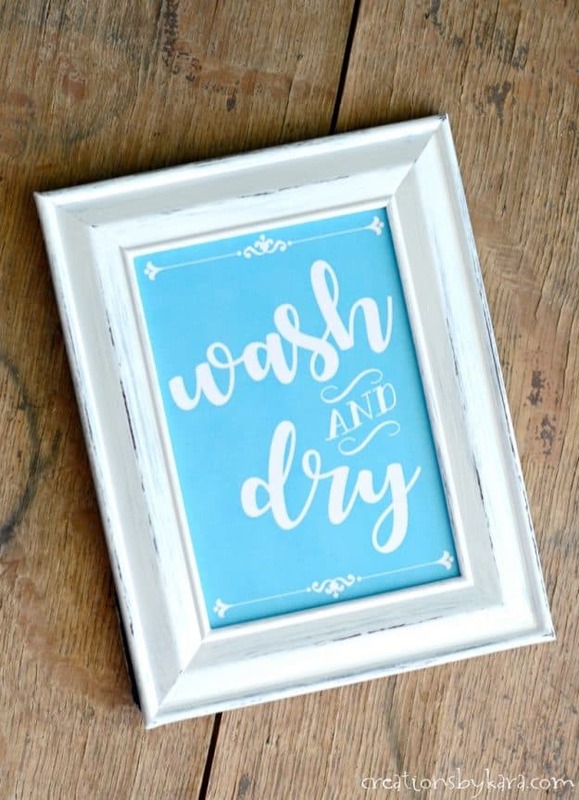 I had a plastic frame from the dollar store, so I just brushed a couple coats of white paint on it, then sanded it for a farmhouse look. Since I had already made two colors, I decided to add a few more choices. I included a chalkboard version because it will match any decor. Which one is your favorite? I actually needed a 3 1/2 x 5 print, but I figured most people would need a larger size. I made them 8×10 for the PDF file. Of course if you need a smaller size, you can just right click on the image and save it, then print it whatever size you need. All of the colors are included on the PDF, so you can click any of the following to be taken to the file. Just print off the page with the color of your choice. I love this white cardstock. 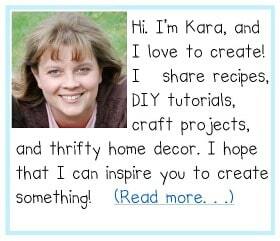 To see all my free printables, click HERE. Your printable is so great, I really like it. Thanks for sharing with us! Excited to see the whole room reveal!